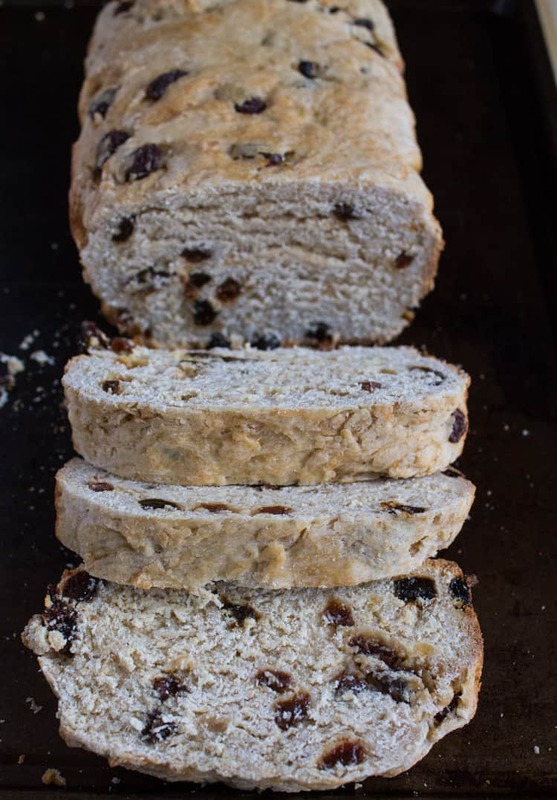 Gram’s Irish Raisin Bread is a tradition that goes back 4 generations to my great-grandmother who was born in Ireland. 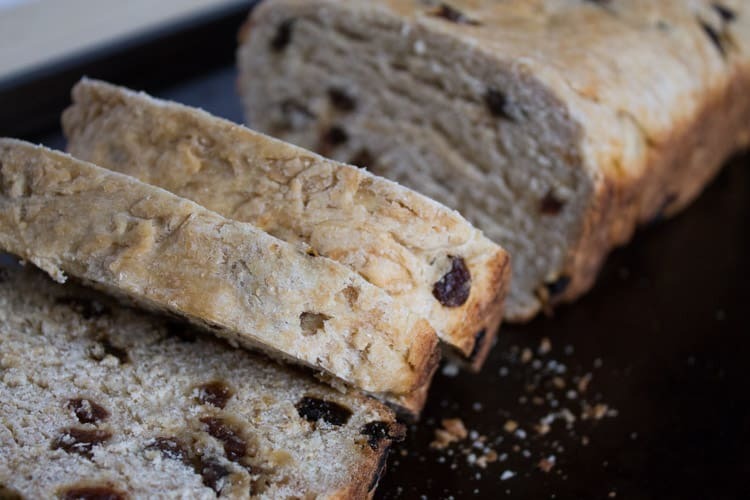 Not your traditional raisin bread, this bread is hearty, but not super sweet. With a slab of butter, it’s the perfect complement to a Thanksgiving or holiday meal. This week, we’re shaking things up a bit – not one. not two. but three recipes! I know, I’m as pumped as you are. 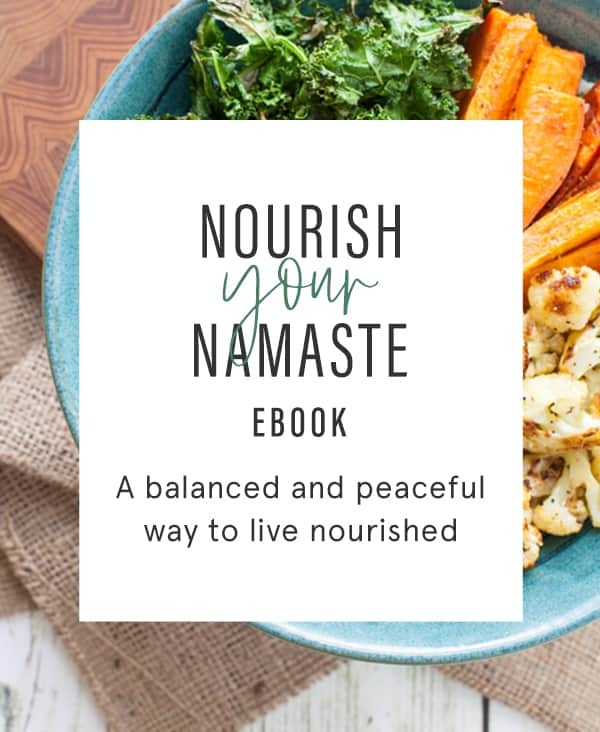 I love Friday Foodie Dietitian Favorite round-ups but I think another recipe is a fair trade-off. Today is the 21st, which means it’s Recipe Redux challenge time. In honor of Thanksgiving next week, the challenge this month is “a food memory for which you are thankful”. You know, those special dishes or meals that evoke such fond, comforting memories today. I love that food can elicit special memories, make us remember a loved one, and warm our hearts. Remember when I talked about this after seeing the movie, The Hundred Foot Journey? When I read this challenge, I knew exactly what to make. Gram’s homemade Irish raisin bread. Thanksgiving is always with my Mom’s side of the family. Back in the day, Grandma Nor (Norine) hosted it and I have fond memories of busting out the retro TV trays so people could eat in the living room or patio. Seriously, I don’t know how they crammed my whole family into their tiny house for the holidays. I also don’t know how my mom and her two sisters grew up sharing one bathroom! 3 teenagers. One bathroom? Yikes. But somehow we made it work. And as long as I had my chocolate milk (milk with Hershey’s syrup – I got to squeeze in the syrup if Gram was in charge) in my paper cup and could play with their unreasonably sized stuff pig with half of one eye missing (that my Dad won for my Mom at a fair when they were in their teens/twenties), and get my hands in their “toy drawer”, well then I was good. None of this worrying about how they squeezed people in. Over the years, Gram wasn’t up to the laborious Thanksgiving dinner so we made the switch to alternating between our house and my Aunt’s house. Even though we changed locations, Gram still always made her signature raisin bread (AND her banana split cake AND her cherry cheese pie…SO. GOOD). She would always make the raisin bread like the second before she came over. I swear somehow it was always still warm and so fresh. Put a slab of butter on it to have on the side of your filled Thanksgiving plate. It was the best compliment. My dear Grandma Nor passed away 7 years ago and my sweet Grandpa Joe learned how to make the bread and took over the baking tradition. He got in such a groove for a while that he started making it every week. And he home delivered! No joke, we had fresh, warm raisin bread delivered to our doorstep every week for like a year. It was the sweetest gesture. 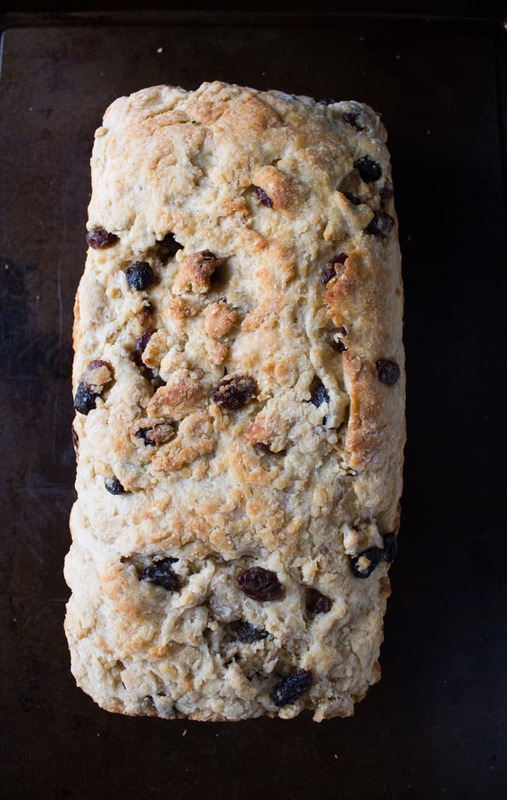 As I tried to recreate (and healthify) my Gram’s raisin bread, I got a little emotional. 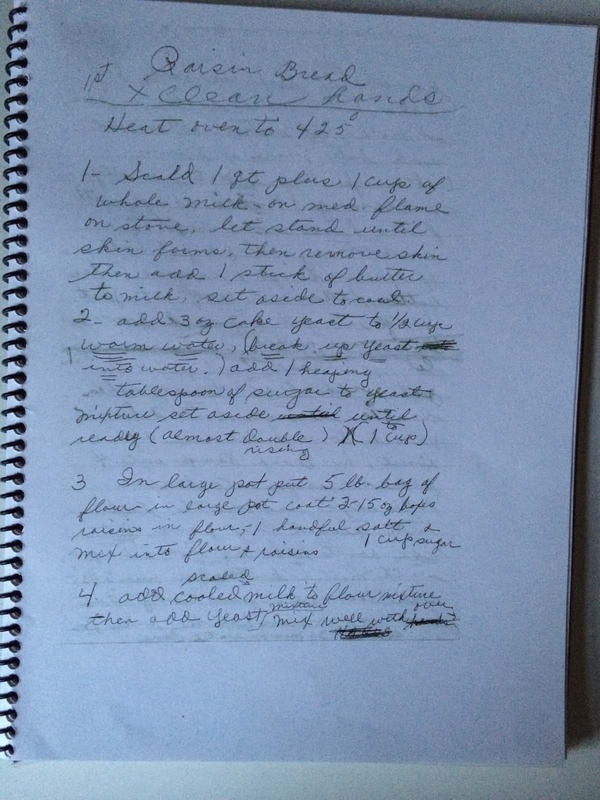 Looking through her handwritten recipes (which my Aunt copied and compiled into a recipe book for all of us – how amazing is that keepsake?!) seeing her write 1st: clean hands underlined at the beginning of this recipe, made me laugh, made me cry, and made me remember. Remember the way she would get so silly and go into these uncontrollable fits of laughter (her laughter was so cute and innocent sounding), or how she would bring out her Irish temper and tell me that if anyone was troubling me, I should just give them a punch in the nose, or how she knew that the solution to any problem was a warm cup of tea. I miss her so much but am so grateful to have such fond memories and to be able to carry out her traditions through cooking. In a medium saucepan, heat milk over medium heat. Once hot, remove top layer of film using a spoon. Remove from heat and add in butter, stirring until melted. Let cool. Fill a tall glass with warm water. Add yeast and a 1/4 tsp of sugar. Stir to combine and let sit. Over 5 minutes, you should see the yeast begin to rise in the glass. In an extra large mixing bowl, add flour, sugar, raisins, and salt. Add cooled milk + butter mixture and applesauce. Stir to combine. Use your (clean) hands to mix dough together once you can no longer stir to combine. If dough seems dry, add a little more milk. Kneed dough for 30-60 seconds but not too long – once dough seems soft and elastic, stop. Cover bowl with a towel or blanket and let rise for 2 hours. After two hours, punch/kneed the dough down, for about 30 seconds or so. Cover the bowl again. Let rise for another hour. Preheat oven to 425 degrees F.
Divide dough into 4 loaves and place into greased loaf pans. Let loaves rise in the pans for 30-45 minutes. Turn the oven down to 400 degrees and place loaves in oven to bake for 30 minutes or until tops are golden brown and dough is cooked all the way through. I should spell out that this bread is not your average (cinnamon) raisin bread or Irish soda bread. In fact, there’s no cinnamon or baking soda even involved. 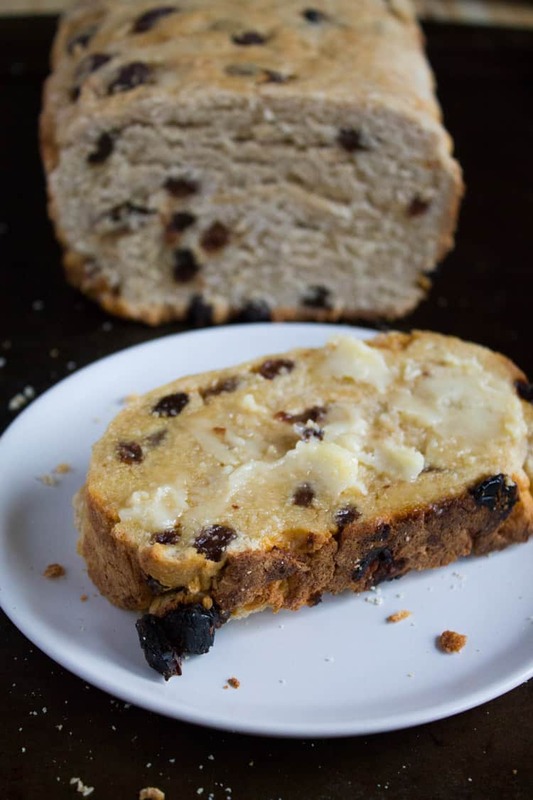 This bread is not very sweet – the raisins give it a touch of sweet but for the most part not as sweet as a typical raisin bread. That’s why I love it though. It’s great toasted with butter too. And perfect when it’s still warm, right out of the oven. To healthify this recipe, I substituted half the white flour for white whole wheat and replaced half the sugar with applesauce. I definitely detected a difference in taste – the white whole wheat flour made the bread a little more dense but it was still delicious. 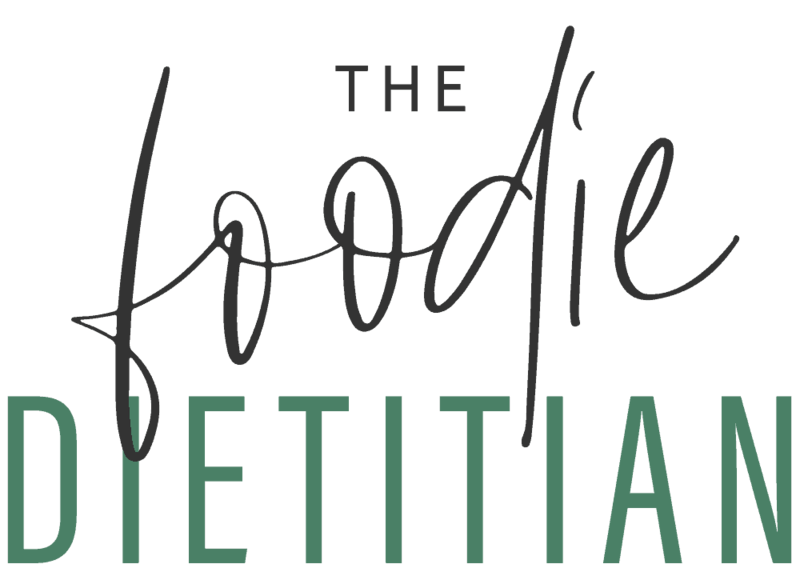 See what other food memories the Reduxers are reminiscing over this month by clicking on the links below. What are some of your fondest food memories around Thanksgiving? This looks delicious! I’d love a piece with lots of butter! Thanks, Kelly! The only way to eat it! This looks so good! 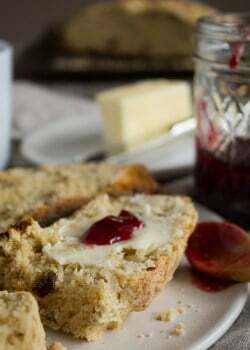 I’ve never made Irish soda bread (with or without the soda!) 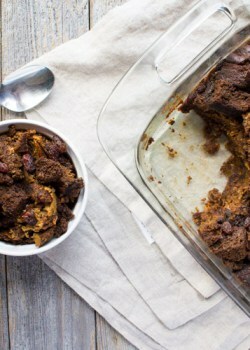 or raisin bread so I’ll have to give this a try! Thanks, Cassie! Let me know what you think! 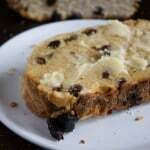 I make Irish soda bread every St. Patty’s Day. It’s SO good. 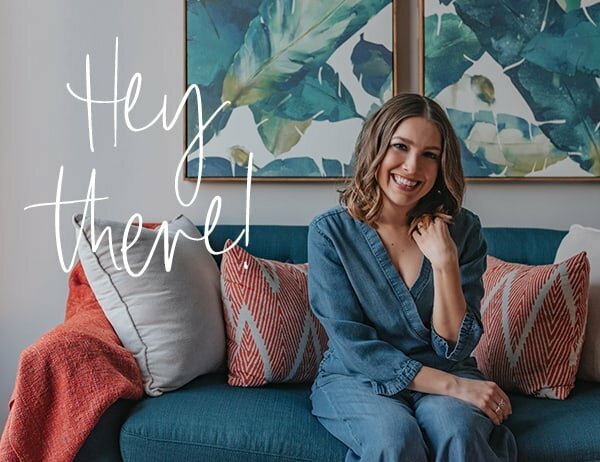 Kara, this is such a beautiful post and that recipe book is an amazing keepsake. This bread looks so scrumptious! Thanks, Sonali! Yes, I couldn’t be more grateful to have that recipe book. What a beautiful tribute to your grandparents Kara. It made my eyes well up with tears. You are so blessed to have had such wonderful grandparents. 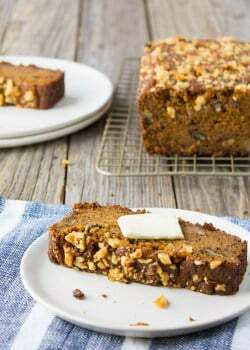 I adore raisin bread, and this looks incredible. Thank you for sharing the recipe. Thanks so much, Linda. I feel so fortunate to have such special memories. Oh, that warm slice with butter… want, want, want! 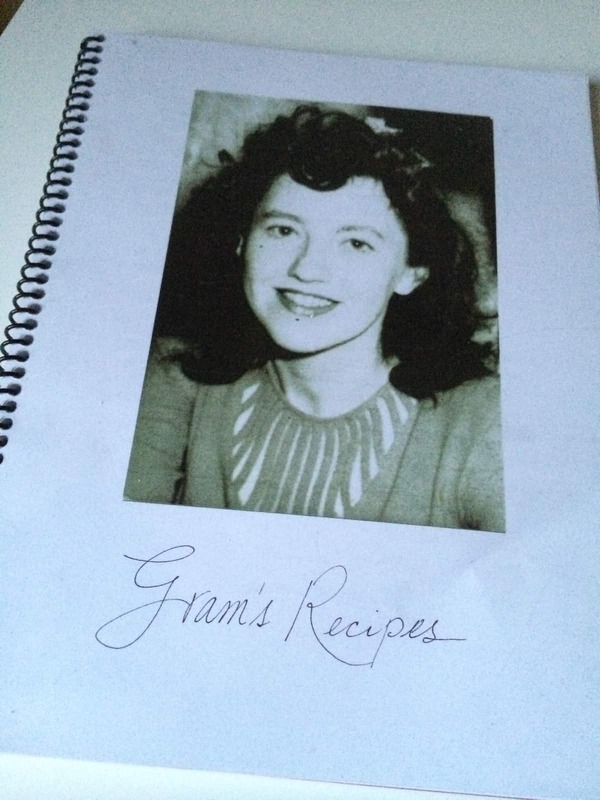 How amazing that you have all her recipes handwritten–what a keepsake! Right? It’s pretty awesome. So lucky. Grandmas just have a way of making food look and taste so amazing! This recipe looks delicious! Is it the same as Irish soda bread? Definitely pinning this one! The is so beautiful and so special! Any soda bread and I’m a fan too! I don’t have any recipes written from my family, but I do have some old spatulas and measuring cups which I adore and cherish! Aw, thanks Rebecca! I love all those old keepsakes – they’re SO special! Beautiful story, recipe, and memory, Kara! Thanks, Alanna! It’s not technically a soda bread (we have another recipe for that :)). Aw, love that you share the same memory, Allie! Those TV trays were too funny.